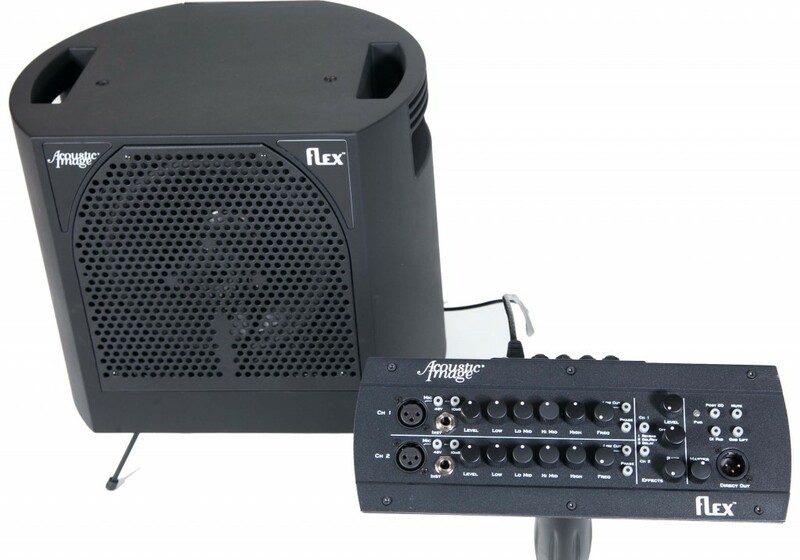 The Acoustic Image Flex S4 System is a break though in double bass amplification technology. This system separates the control function from the speaker cabinet and puts it at the player’s fingertips providing ultimate convenience and control over the sound. The system consists of a tri-amped 2×10 plus tweeter speaker cabinet and a remotely connected preamp that can be mounted on a music stand or mic stand within reach of the performer. The Flex System is the smallest and lightest 2×10 combo system on the market today. FREE DOMESTIC SHIPPING on the Flex. The Acoustic Image Flex is available in three options: Two Channel Flex System (S4 System, $1998), Preamp Only ($599), and Cabinet only ($1399). PLEASE MAKE YOUR SELECTION.